The Hagley Tramping Club is a small friendly Christchurch club which especially suits those who enjoy tramping in smaller groups (typical numbers on our tramps are 4-10 people). We organize a variety of trips to suit all ages and levels of fitness. We welcome new members, are supportive of those new to tramping and also encourage those trampers who wish to try the more challenging trips. 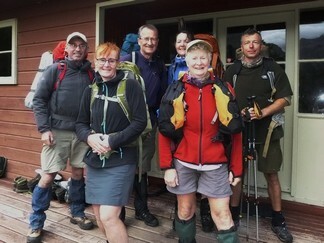 The club was established in Christchurch in 1974 with the aim of making the back country experience more accessible to the average person and to foster a respect for the wilderness. The new Newsletter is now out and available on the website. Click on the Newsletter Icon to download it or check out the upcoming tramps and social events on the Website. With some of our leaders doing the Te Araroa Trail and others otherwise unavailable we have only scheduled 3 months worth of tramps this time instead of the usual four. Short social meeting with a review of recent trips and what’s coming up on the program. 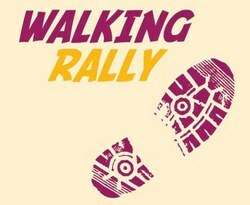 Tere is organising a Team’s Foot Rally around the neighbourhood of Abberley Park. It’s like a car rally on foot but we don’t have to get lost and argue. Abberley Cres Hall at 7.30pm. Find a tramp that interests you and contact the trip leader. We are keen for new members to join us and look foward to meeting you.